It was Saturday the second day of May of 1942. 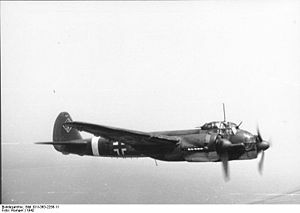 The time was 10:45am when a JU88 Bomber of the Axis forces dropped a number of delayed action bombs on the south part of the road linking Zejtun with Tarxien. According to Malta: War Diary website the JU 88s droped eight bombs near Zejtun Church and on houses south of Zejtun-Tarxien road. Many of the bombs did not explode on impact. They detonated later, destroying several houses, killing 21 civilians and wounding 30. 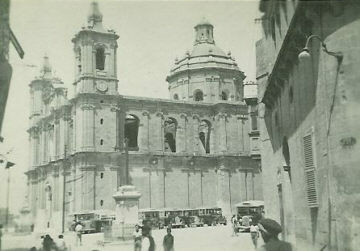 Local researcher Carmelo Baldacchino referred to the bombs dropped in front of the Zejtun Parish Church as anti-personnel bombs. 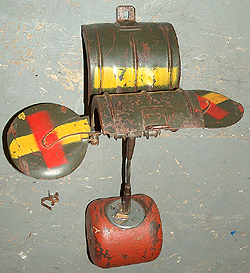 The most common of such bombs used by the Luftwaffe were known as Butterfly Bombs, (or Sprengbombe Dickwandig 2 kg or SD2). It was so named because of thin cylindrical metal outer shell which hinged open when the bomblet deployed gave it the superficial appearance of a large butterfly. The design was very distinctive and easy to recognise. Butterfly bombs contained 225 grams of TNT. They were generally lethal to anyone within a radius of 10 metres (33 ft) and could inflict serious shrapnel injuries (e.g. deep penetrating eye wounds) as far away as 100 metres (330 ft). No wonder why these bombs left such a devastation in front of the church on this deadly day. It is said that people at that time were coming out from church after hearing the morning mass. There were also people in the few shops which existed and were open at that time, one of them was a barber right in front of the church. At that time the owner was busy serving his clients and shrapnel burst through the door leaving one of his clients, Dr Emmanuel Hyzler death in his hands. He was one of the twenty seven victims of this tragedy, ten of which were female. The names of these victims are listed on a marble plaque which was placed at the corner between Misraħ ir-Repubblika and Triq Santa Katarina on the 2nd May 1967. Besides the victims listed on this marble plaque there were several others who were injured. Rev Carmelo Galea (or as was commonly known, Dun Karm) who was walking out from the church was also injured in his leg and suffered a permanent disability. He also assisted his brother Salvu who was one of the victims. One would think that besides the marble plaque mentioned above, there is no other evidence of this tragedy on site. This is a complete mistake. If one had to look closely at the lower part of the church facade, one can notice a number of circular spots and other square patches. These are several shrapnel marks left after this tragedy on the masonry, but some time after the tragedy, were filled in with cement and coloured to match the surrounding stone, others were replaced by neatly-cut square stone inserts. There are other larger shrapnel marks on the Oratory’s bell-cot, possibly pertaining to the same explosion.